After the release of Utillian 720, the company has decided to release one of its new brand new unit. After the release of Utillian 720, the company has decided to release one of its new brand new unit. Although it is hard to compete the former one, but there are lots of features which make it great. This product is one of the smallest portable herb vaporizers designed yet. The size is small, but the wide LED screen will make you love it. It is available in four temperature settings. The big ceramic heating chamber makes it an even amazing device. The best thing is that it is the most affordable vapes among all that come with advance features. If the vape is fully charged so, you can enjoy from 4 to 6 sessions. The small unit can be easily slipped into your travel bag or pocket. That means you won’t have to travel without this amazing vape. It produces smooth and flavorful clouds which can be easily inhaled through the straw-like mouthpiece. What are you waiting for, get it today and enjoy vaping. Utillian 420 Vaporizer offers the best features. LED screen and temperature settings are great. Amazing portable vape. Entering the world on vaping with this vaporizer was an amazing experience for me. Premium quality. Very convenient to clean and use. A discretely designed product. Heats up very fast. Best for regular use. The price is amazing. I am loving it. This is my first vape. It has performed ahead of my expectations. Produces best vapor and heat. Super fast charging. Super fast shipping. The vaporizer works prefect. Great customer service by Haze Smoke Shop. Utillian 420 is a very decent looking vaporizer. Different temperatures settings makes it very easy to use. Price is decent also. This vaporizer surely helps in achieving your vaping goals. It simple, compact and powerful. It has the best price. I gave it as a birthday gift to my best friend. Since then, our vaping bond is getting stronger than ever. He absolutely loves it. It is absolutely an amazing vaporizer. I like its user friendly features especially the digital screen display. Quality of vapor is top notch. 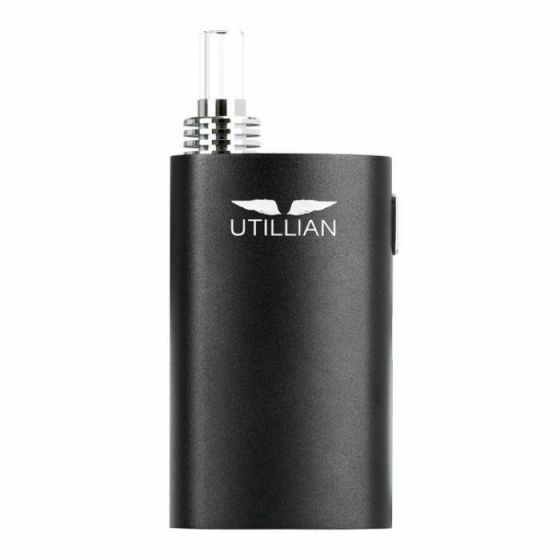 Despite having all the features and qualities of an expensive vaporizer, Utillian 420 is truly a very budget friendly product. It’s worth every penny. Highly recommended. This is a really cool vape. Build quality is solid. Looks very stylish and premium. Performance is top notch.